Bitcoin is a remedy for the challenges facing remittances around the world due to its low cost, non-discriminatory nature and speed of settlement. In both East Africa and the Philippines, Bitcoin is an alternative channel to sending value home from abroad. While both are in different parts of the world, there are similarities in both markets and a unique opportunity. 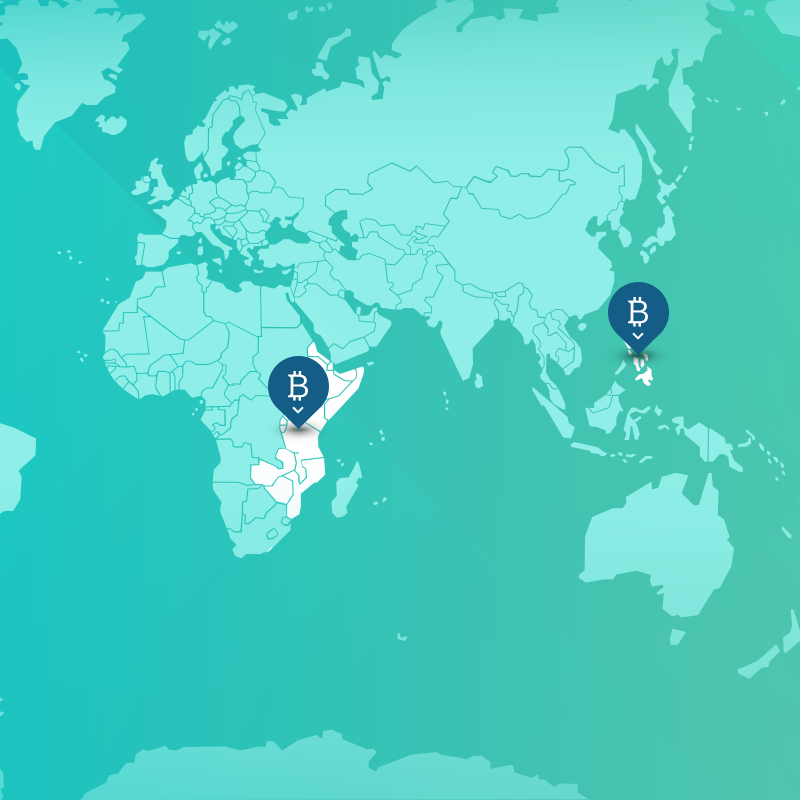 Here is a quick run-down of the similarities between Bitcoin remittances in Philippines and East Africa. Both Filipinos and East Africans have sought working opportunities and lives abroad but still regularly send part of their income home for: household purchases, investment, school fees, and overall support. OFW (Overseas Filipino Workers) – estimated at 10.5 million Filipinos in 2012 by National Statistics, are broadly dispersed across the world: Europe, North America, the Middle East, South Asia and East Asia. Close to 80% of inbound remittances specifically originate from Canada, UAE, Saudi Arabia, United Kingdom, Singapore, Japan and the United States. Just last year, OFW remittances went up 6.4% to $ 22.7 billion – a new record high accounting for 8.4% of economic output in 2013. East Africans, on the other hand, are majorly based in Europe and North America; 2013 was a record high for remittances into one of East Africa’s frontier economies – Kenya, received $ 1.3 billion. 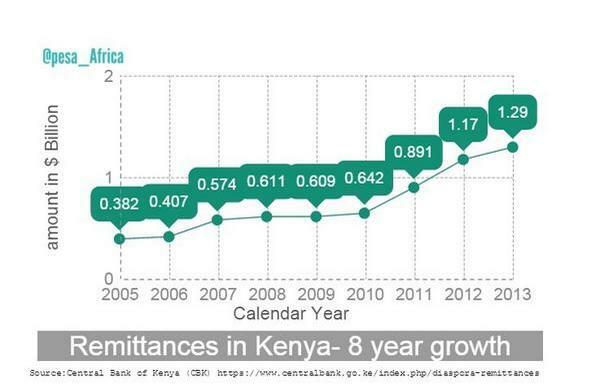 The Central Bank of Kenya data confirms 75% of remittances originating from Europe & North America. In Uganda, a smaller neighbor in East Africa, remittances are locally known as key. 2.5 million Ugandans reportedly live & work abroad and sent home $ 750 million (estimates by Bank of Uganda) with projections at $1 billion in 2014. Uganda gets most of its remittances inflows from Kenya ($326m), United Kingdom ($176m) and US ($87.4m). The three countries provide 76 per cent of Uganda’s total earnings from remittances. Europe and North America as concentrated origins of money transfer bodes well for Bitcoin remittances as the ease of acquiring Bitcoin services in these countries evolves. The opportunity is great as the Kenyan government, for example, is keen on tapping into diaspora remittances as a national development resource in line with the country’s outlook policy, Vision 2030. Notably, Kenya leads the pack in East Africa. Dominating the cross border money transfer business is a handful of incumbents. Nowhere is this truer than in EA the usual suspects populate the list– MoneyGram & Western Union. Together, they account for 66% of Africa’s remittance market. Strategic partnerships between MTOs, banks, postal offices & now MNOs perpetuates this oligopoly by tightening the grip on money transfer. East Africa knows this too well. Both Kenya & the Philippines are popular destinations for Westerners to outsource to. In ‘My PayPal Horror story & Why I love Bitcoins’, a Kenyan blogger describes the pitfalls of PayPal payments in Kenya and why Bitcoin is a no-brainer. 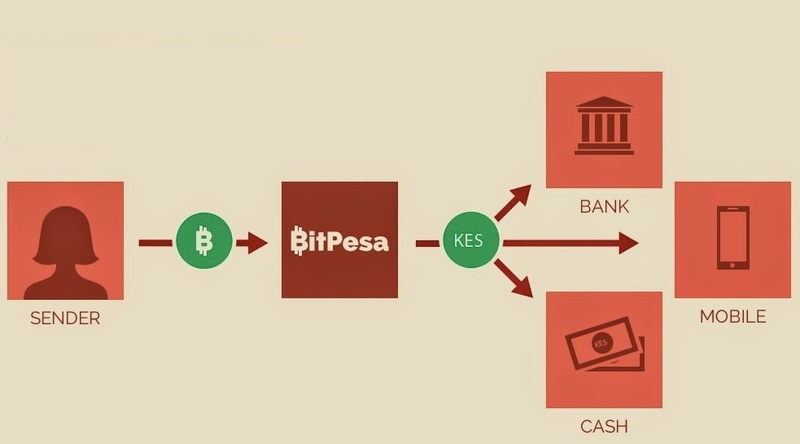 Whereas PayPal to Bank transfers costs a whopping 5% plus a 7 day delay to cash out, BitPesa, a BTC gateway service offers a flat fee and a 30min cash out times. It is no different in the Philippines where overseas companies paying remote employees incur massive fees when using PayPal. Bitcoin will need to function as a value transfer mechanism, but also enable recipients to receive cold hard cash. To the extent that it is possible, Bitcoin needs to be seamless to overcome the usual aversion to tech commonplace in these markets. Digital currency i.e. mobile wallets and P2P mobile transfers are entrenched in East Africa allowing 80% of the population instant access to financial services – local money transfers, payments, and value storage. MPESA is the most popular and has been an overwhelming success in Kenya. Smart Money & G-cash are similar Telco’s offered money services in the Philippines. Success here has been moderate; East Africa exceedingly leads Philippines in this regard, but the parallels between both local remittance services are plain to see. In conclusion, integrating Bitcoin & mobile wallets services (as BitPesa has done in Kenya) is a forward leap that unlocks vertical opportunities beyond remittances – online payments, Bitcoin gateways, microfinance channels.